It has been truly fascinating to look at the responses to the paper on use of the glidescope for trauma patients. The post looks at the paper from R Adams Cowley shock trauma centre that shows little benefit and potential harm from the use of the glidescope. My summary conclusion would be.. This has prompted a great flurry of activity defending video laryngoscopy. This is fine, but it has got me thinking about how we consider evidence around devices differently to evidence for therapies. Now, the post was purely and simply about the paper, not VL in general. It is interesting to see the debate run off into the distance (in much the same way as the FAST question did) and that’s great. Here at St.Emlyn’s we absolutely love to challenge how we think, and hopefully how others think as well. Journal club often acts as a spring board to a much wider debate in the same way that this paper has. We really like this and a major part of our teaching is to get people to stop and challenge everything that they do. When trainees come to us they often find it difficult as we ask them ‘why are you doing that’ a lot. In a short space of time they learn that much of what we do is anecdotal, traditional or cultural. It’s not based on evidence, a realisation that shakes the foundations of our practice. Our journal club works in the same way and to be honest we absolutely love papers like this as they challenge our assumptions. Surely VL is better, it’s more modern, you can get a better view, it’s just a CCD on a stick, you can share learning, everyone can see what’s going on etc. The danger is that the evidence for benefit comes from our belief in that it is true without actually knowing what the benefits are. Indeed much concern has been raised about devices in the past about how doctors select, use and implement new devices and implants. In Europe the biggest recent debacle has been around the use of breast implants. Now that’s quite an extreme example but there are principles to be drawn here. There is no change to death rate Ah, yes, but in survivors the outcome was better (though the deaths occurred earlier in the thrombolysis group) Ah yes, but it was easier to intubate them. This was a sub group of patients (exclusions or specialist centres) Sure, but stroke is a pathological process not a geographical one True, but intubation is intubation isn’t it? It feels good to do stuff Look at me I’m doing something to my stroke patient with this drug Look at me I’ve got a shiny new toy. The intervention was only part of the patient journey The benefits of thrombolysis were masked by poor care in other parts of the system Intubation is only part of the journey, you can’t isolate it as a factor. So, for the record I am not anti-VL. Far from it in fact, I love a bit of new kit just as much as the next Emergency Physician and if money appears from someone else’s budget I will almost certainly be quite hypocritically on the phone to Tim, Jo and Minh in a flash. However, in a cash strapped NHS I need to be careful where I spend other peoples money. To make a good business case I want to know what the benefits will be to my patients first, and my clinicians second. As an evidence based emergency physician I aspire to apply the same tests to a new device as I would to a new drug. If data is published on patient outcomes I will certainly read it and look at what it has to offer to the debate. Sadly we are all hopelessly biased in critical appraisal. It is very difficult to be completely neutral when reading any paper. If I was anti-VL before reading the paper I’d probably think this was a great piece of work. If I was pro-VL I can easily find a number of concerns to dismiss the findings as irrelevant. Personally, I’m pretty neutral about it all. What I’m not neutral about is that this is a pretty well conducted study that looks at patient focused outcomes. As an evidence based emergency physician you really can’t ignore that…. Now, wanna put BIG device up against EZIO vs Cook device for IO access? You’ve already made your choice – you have AirTraqs in your ED, presumably because this is seen as a rescue device when DL fails. I am OK with that. Dl first, something different if fails (rarely) although we know difficulty in ED > OT. This paper doesnt really address that. I think you’ve set up a strawman. StEmlyns has ALREADY decided to have a device in case of difficulty with DL. There may be advantages to VL with your existing choice (or not). This may be icost, in audit, in training or in ease of use. Or not. But this paper doesnt answer that question. I’ll help you write the business case if that helps. Although we stock the Airtraq, I’ve never seen it used….. But will be g.ad they are there if needed…. Its not about VL, its about Glidescope in the form they used is simply crap, its like driving an early model scoda it is/was apparent, why did they even consider it. The reason VL is even discussed now as apposed to 5 years ago when all the toys started appearing is, they were all crap then but not now. Its the same reason I will never engage in a trial of retrograde seldinger intubation,( standing on one leg juggling with the other arm). I agree VL has the potential to be a teddy bear like thrombolysis fairyland, but robust functional toys which are just nice to use are just nice to use. Is that enough…. Once we find them then we should test them against our previous standards ( Mac Blades DL). If you thrombolyse a stroke and it’s not going well, it’s not easy (!) to un-thrombolyse. If you’re not getting a view with the DL, it is possible to switch to a VL, especially if it’s close to hand. Even if there’s no benefit to starting off with a VL, the paper gives us no idea whether it would still be useful as a rescue device for when DL fails. Er, not sure you have the point there. This is not comparison of VL vs thrombolysis (!?) the table is based on the debates that have gone around stroke thrombolysis. It is a cheeky observation on the use of similar arguments to both interventions. In terms of VL as a rescue device then you are of course correct. The paper was not set up to answer that question about use as a rescue device. Since it was not designed to do so, it can’t. Similarly it was not designed to look at many other things (which is better at stirring tea for example), but there again no study can look at every possible use and outcome. When designing a project you state the main aim and then design from there. The authors chose the outcome of survival and so that is what we examine the paper against, and of course we can comment on whether this is a fair and meaningful outcome during crit appraisal. You may argue that they should have done a different study and that’s fine, but they didn’t. Our job is to critically appraise the one they did. We might also comment on how they might have done it differently, but the key is to look at what was done and then to use that information as best we can. That may include dismissing it entirely, but if we rejected everything out of hand that was not perfect the literature base would be rather small….. Poorly phrased on my part. I was suggesting that even if we entirely accept the paper, apply it to our practice, and always go for DL over VL first line, there will still be times when DL fails and VL _may_ be an option – and there’s another study in there for whoever is interested. As compared to stroke thrombolysis, where whatever is chosen first line (thrombolytics or not) is pretty much the option you’re stuck with; no option to try the other alternative later. A decision on whether having a VL in the resus room needs to consider its role as a rescue device as well as the primary choice. This paper is useful – it addresses part of the question – but the total debate is wider (as others have mentioned). Laryngoscopes are devices for getting tubes through holes. In assessing them, success rate and speed are reasonable hard end points. There’s no need to look at mortality rate: this is a relatively crude measure which may not accurately detect the most tragic consequence of a failed airway, namely hypoxic brain injury. We know that delay in establishing a definitive airway can causes damage. So let’s just work out how to do it as reliably and quickly as possible. I’ve got no problem accepting the findings of the study and wouldn’t dispute it’s validity. 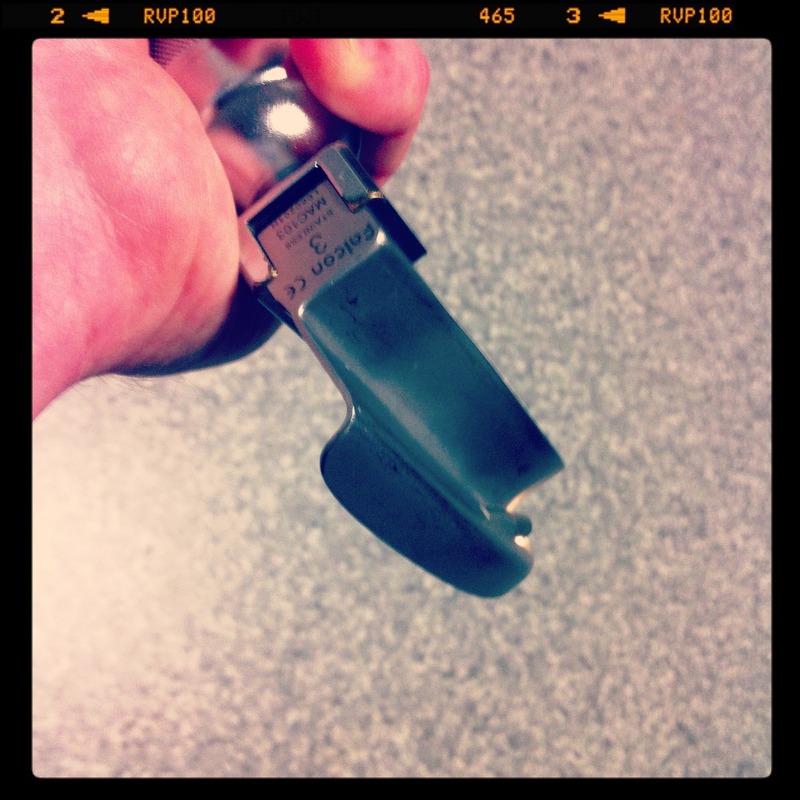 The Glidescope does not appear to offer an advantage over direct laryngoscopy in trauma patients. This wouldn’t come as a great surprise to many who have tried it: it’s tricky to use. We’ve got one in our department and no-one has touched it in years. But the negative verdict is about the Glidescope, not the videolaryngoscope. Likewise, the Benz Patent-Motorwagen did not compare particularly well to the horse and cart. No doubt, equine enthusiasts were declaring in 1886 that the automobile would never catch on. agree Jo. but we havent gotten rid of horses too! still used in cattle farming in Oz for commercial practicalities. And the automobile superseded by helicopter in turn. I have no issue with progress and improvement. I dont think that getting rid of things that work and have been practical for decades is a sensible idea. why cant you teach DL and VL together?